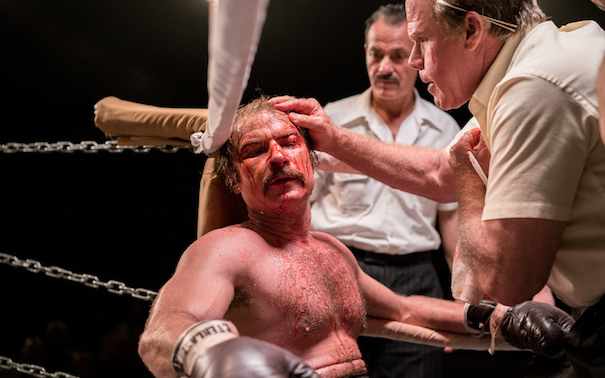 The new movie starring Liev Schreiber “Chuck” tells the true story of Chuck Wepner, the man who inspired the billion-dollar film series “Rocky” — a liquor salesman from New Jersey who went 15 rounds with the greatest boxer of all time, Muhammed Ali. In his ten years on the ring, Wepner endured two knockouts, 8 broken noses, 313 stitches. But his toughest fights were outside the ring: an epic life of drugs, booze, wild women, incredible highs and extraordinary lows. In a recent interview for The New York Times Liev Schreiber describes “Chuck” movie as a “cautionary tale about celebrity and fame, tripped down the rabbit hole of narcissism” and admits that over the past ten years he’s had things in his own life drawing him closer to that story. 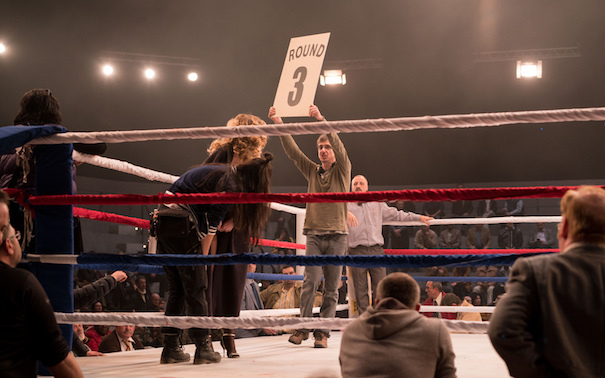 We were happy to host part of the filming of this interesting project at Nu Boyana studios where we specially constructed a big boxing ring in one of the sound stages. When talking to a Bulgarian journalist about how he felt working for the first time in Sofia, Liev Schreiber admitted that both the director and him were “pesimistic” in the beginning but after they arrived in Bulgaria became really impressed with the commitment of the people in the crew. He also found Nu Boyana studios to be a great facility, having various sets – New York streets, London backlot and etc. After having premiered at Toronto and Venice last year, “Chuck” screened as part of the Tribeca Film Festival and opens in theatres on May 5. Liev Schreiber stars as Chuck Wepner. Also starring Elisabeth Moss, Jim Gaffigan, Naomi Watts and Ron Perlman.